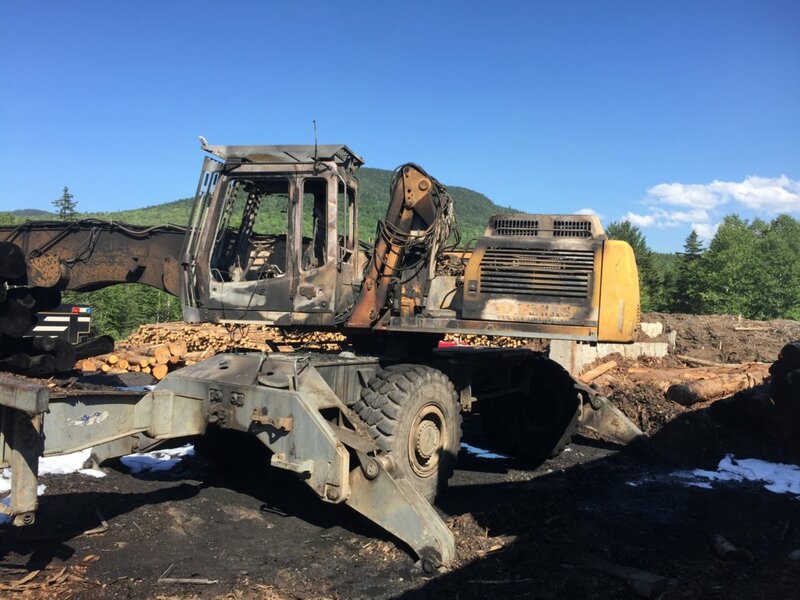 EUSTIS – A log loader at Stratton Lumber Co. was destroyed and its operator injured Thursday afternoon when it caught fire, Fire Chief Sprague Wise said Friday. He estimated the loss at about $250,000. The operator was using the large machine when it caught fire and jumped from it and sprained an ankle, Wise said he was told at the scene. The origin of the fire was believed to be in the engine, he said. By the time firefighters arrived, the only thing left burning were the tires, the chief said. “The tires were on fire, that was the biggest thing. Those burn a long time. The first truck that showed up brought 1,000 gallons of water and it was gone, just like that,” Wise said. It took about 25 minutes to extinguish flames on the tires, he said. Because the metal on the machine was so hot, firefighters could not get close enough to determine the exact cause, Wise said. 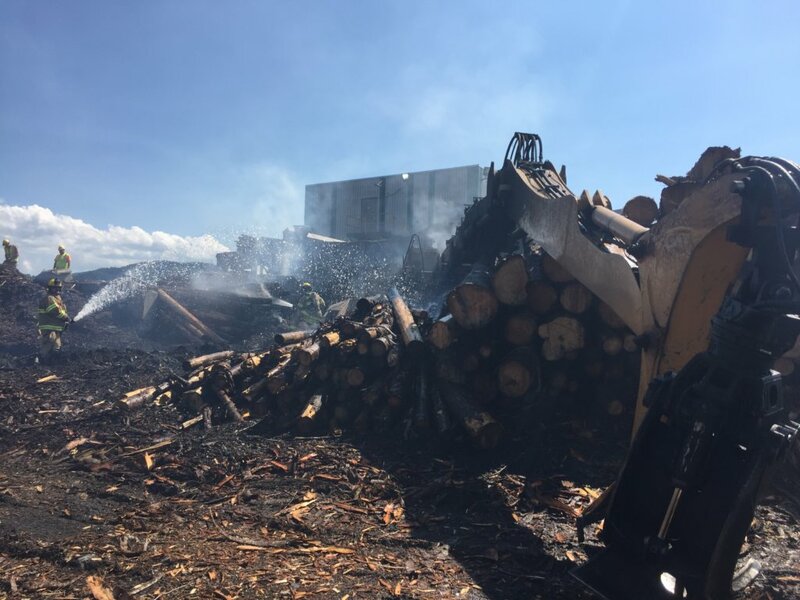 The loader’s oil and fluids also created a hazardous situation, and the logs next to the loader were spread out to stop them from igniting. Surrounding buildings and equipment were also spared. Rangeley Fire Department assisted Eustis firefighters in the 94-degree heat, Wise said. “It was hot — there was a lot of resting and trying to stay hydrated,” Wise said.